Adam van Koeverden, Simon Whitfield and now gold medal-winning trampolinist Rosie MacLennan are among Summer Olympic opening ceremony flag-bearers for Canada. 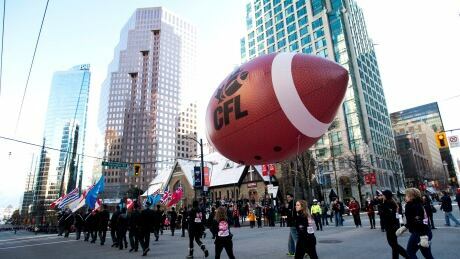 Crowds pour into downtown Vancouver for the annual Grey Cup parade. The Hamilton Tiger-Cats take on the Calgary Stampeders for the 102nd Grey Cup on Sunday. You are currently browsing the archives for the News/Canada/Canada Photos category.